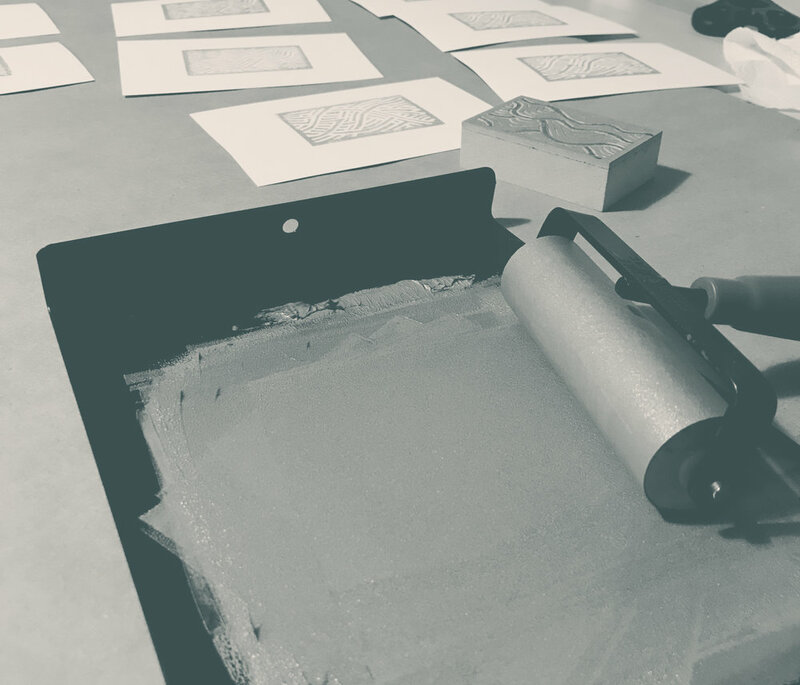 In a quest to channel my creativity away from the screen, I took up printmaking. I was drawn to creating something with my hands that created a more authentic piece. From my very first block of lino I fell completely in love with the medium. I was born and raised in Michigan. Growing up it was hard for me to not be drawing, painting, messing around in Kid Pix. I graduated college and pursued a career in graphic design full time, and now as a freelance professional. I moved to Portland, Oregon and instantly fell in love with everything Portland and the Pacific Northwest have to offer. I create all my prints by hand in my Portland home (usually my kitchen, sometimes my garage if it's warm out).